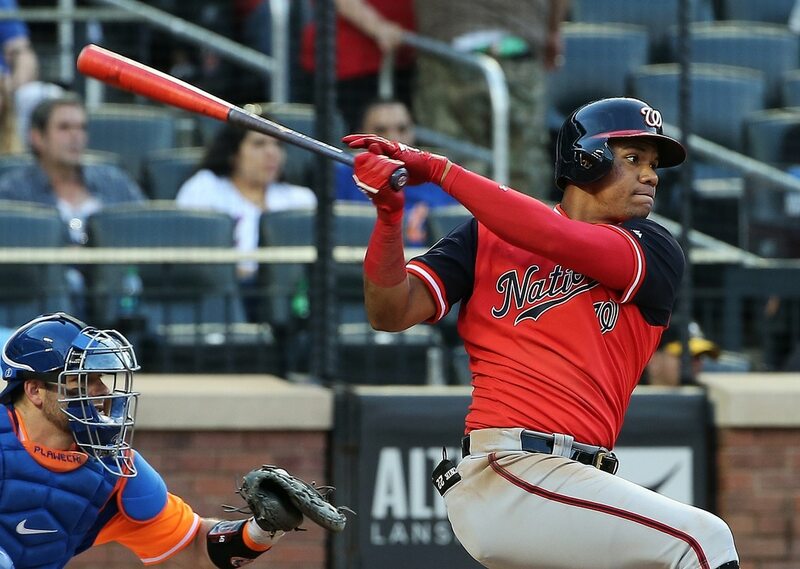 In a week full of record-setting moments, Washington Nationals 19-year-old outfielder Juan Soto became part of MLB history again on Saturday. He entered the game with just two stolen bases, but Soto went to work on the basepaths against the Atlanta Braves. The 19-year-old stole three bases, becoming the youngest player in MLB history to swipe three bases in a game. More Juan Soto facts: he has three stolen bases today, making him the youngest player in MLB history to do so in a single game. He only had 2 SBs on the year before today. Soto already passed Ken Griffey Jr.’s mark for home runs by a teenager, then became the first teenager to hit 20-plus home runs with a .900-plus OPS in a season. A historic season that seemingly couldn’t get better for the teenage outfielder somehow keeps seeing him become part of MLB history. Even in a disappointing season for the Nationals, Soto has provided fans with plenty to be excited about for the future.